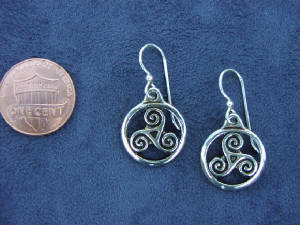 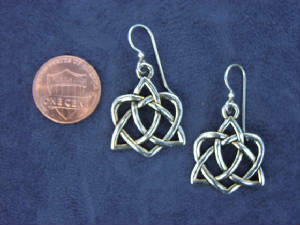 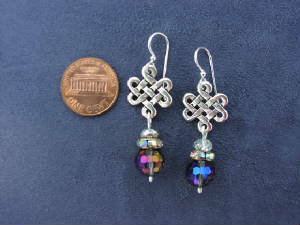 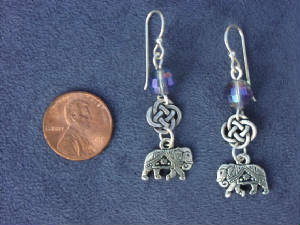 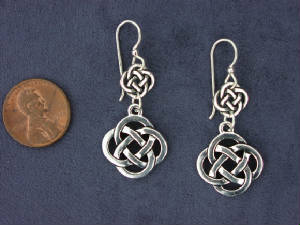 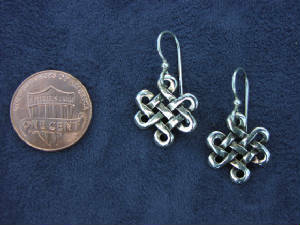 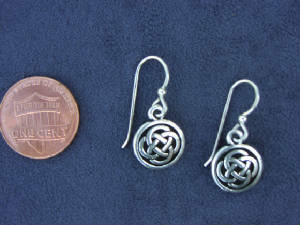 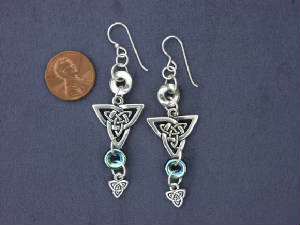 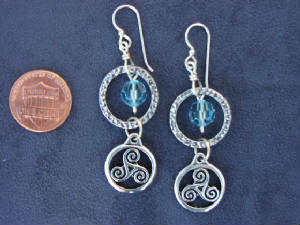 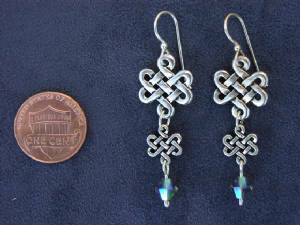 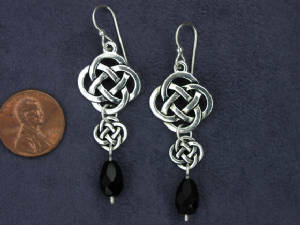 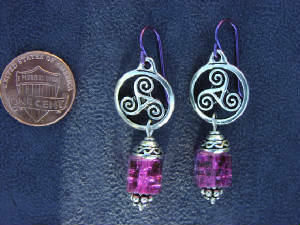 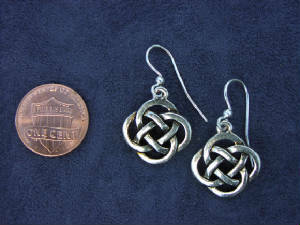 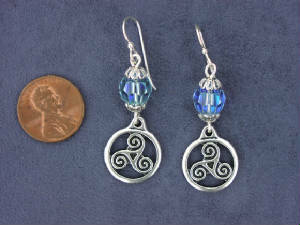 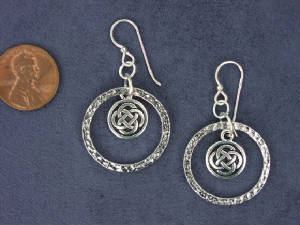 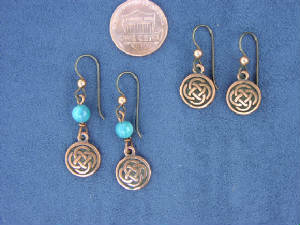 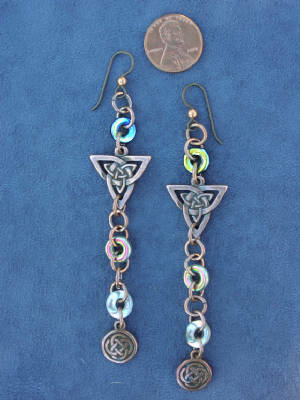 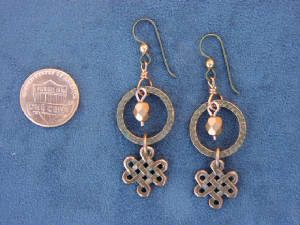 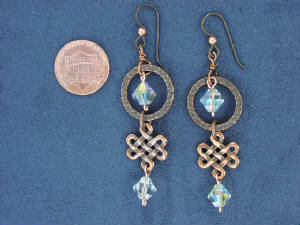 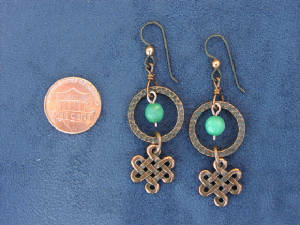 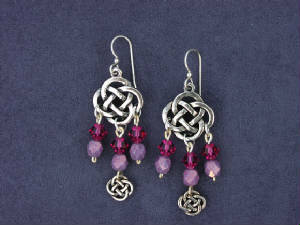 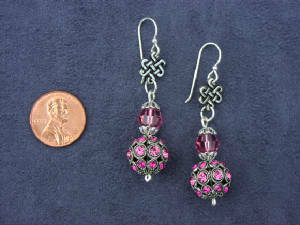 # 473: Nearly 4" long shoulder duster earrings with Celtic knots, iridescent glass rings, and niobium hooks: $28. 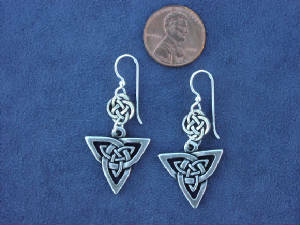 These are also more lightweight and wearable without the Celtic knots at the bottom: $25. 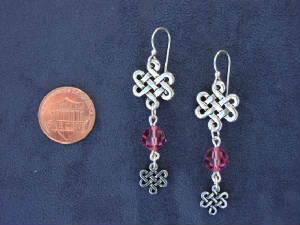 for that version. 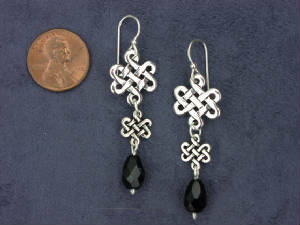 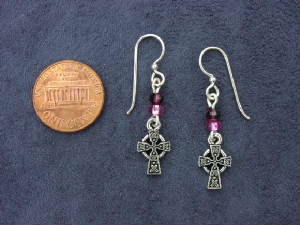 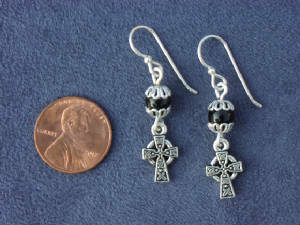 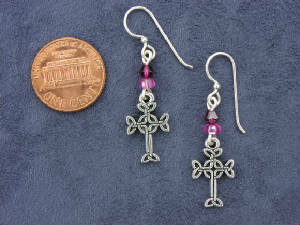 # 373: Celtic crosses with silver filled hooks, Swarovski crystal, and glass: $14./pair. 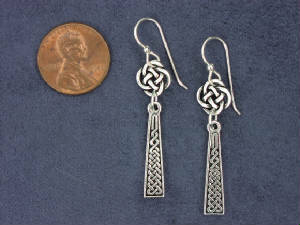 1" long. 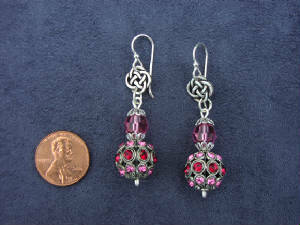 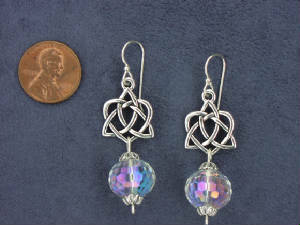 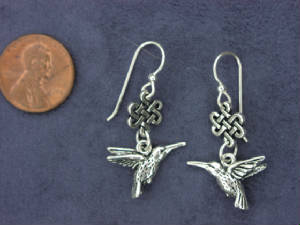 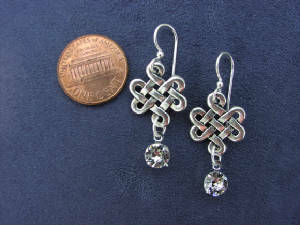 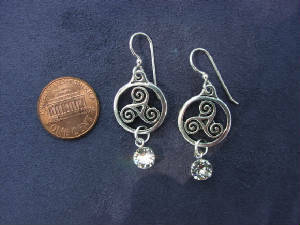 # 374: Another version of the Celtic cross with silver filled hooks, Swarovski crystal, and glass: $16./pair. 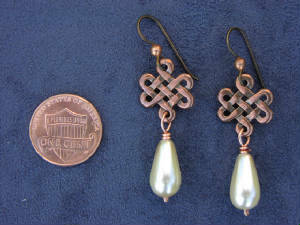 1 and 1/4 inches long. 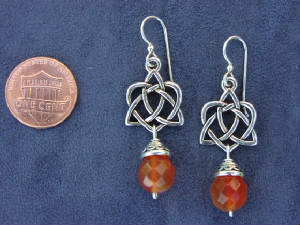 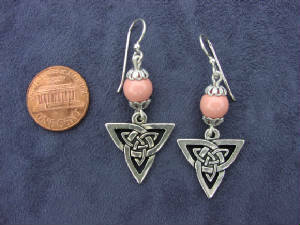 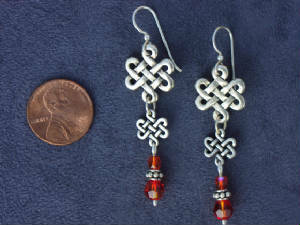 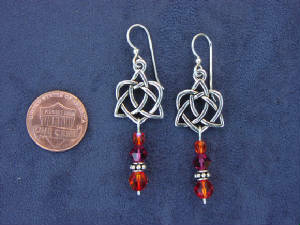 # 372: Celtic knot earrings with silver filled hooks and Swarovski faux pale coral: $21./pair. 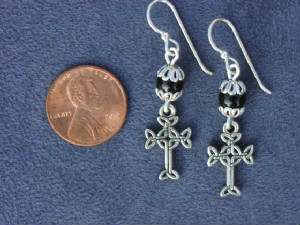 1 and 1/2 inches long. 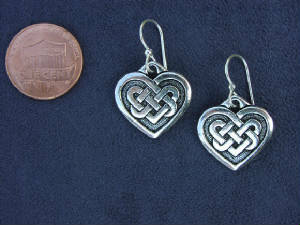 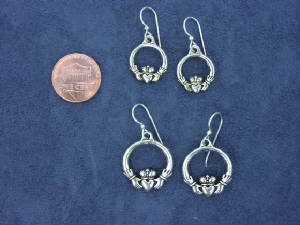 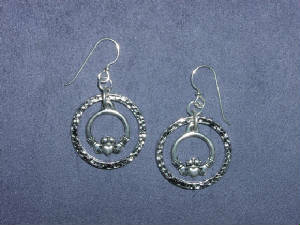 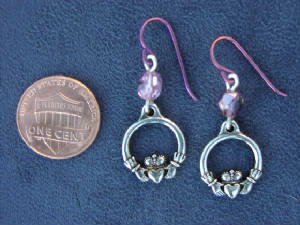 # 274: Celtic Claddagh earrings with silver filled hooks. 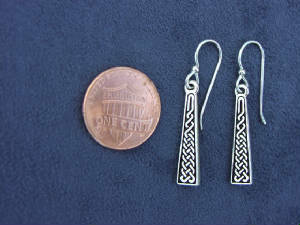 3/4" long $18./pair. 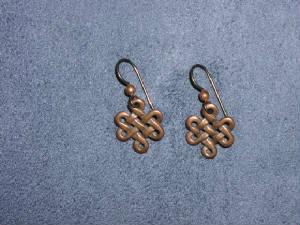 Also available in copper finish with niobium hooks.